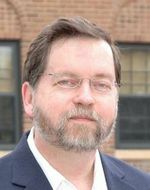 PZ Myers, of Pharyngula fame, for being refused admission — dare we say it, expelled? — to a screening of the creationist propaganda film “Expelled,” while his guest was admitted without incident. The whole story is here. It’s the funniest thing I’ve seen all week. The creationist movement: stifling debate, and doing it incompetently. Aw, you gave away the punchline! This story has had me laughing hysterically for ten minutes straight now! The thing that really multiplies the irony is that the whole point of this film is for creationists to complain that scientists are unfairly excluding them from debate. For them to screen all comers at the door, filtering out the ones they don’t want to see it, is truly ridiculous hypocrisy. And what makes it even worse, if I recall correctly, is that PZ was actually interviewed for this movie himself. (They lied to him about the intended title and purpose of the film.) To turn away not just some random atheist blogger, but one of their own hand-picked interviewees, really takes this to a higher plane of absurdity than I can express. As I’ve said in a couple other places already today, planet-wide irony meters are exploding from the overload. It’s one of the funniest things I’ve read in months. I was outright howling at that. They make a big show of barring Beelzebub from entering their hallowed theater, but fail to notice Satan himself standing right next to him. Yes only creationists can make greater fools of themselves than they currently are.